Transgression (Book One of Ambrosial Acres Series) is a YA/Mystery/Suspense on tour with Pump Up Your Book. Blurb: Agent Yagil faces the fight of his calling as a Guardian Angel. His newest assignment is going to take every bit of perseverance and patience he has. 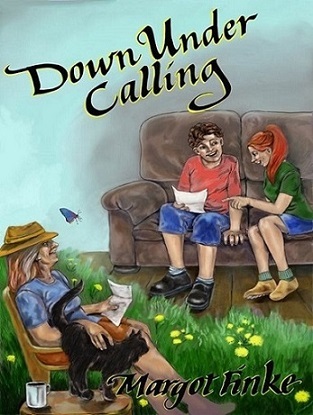 Seventeen-year-old Amber Reynolds is looking for some freedom and independence from her rigid lifestyle. Going behind her parents’ back, she takes a part-time job at the renowned inn located within Ambrosial Acres. Between Amber’s new coworker crushes, her menacing stalker, a mysterious online stranger, and the evil agents out to lead her down a path of self destruction, Agent Yagil struggles to keep her safe. To keep her from using her freewill that will bring harm to herself–and others. Or will his shortcomings get in the way? COVER: Not bad. A bit plain for a story that seems to be intense. I would have liked to see Ambrosial Acres in the background. FIRST CHAPTER: Agent Yagil gets to meet his charge: Amber Reynolds. A rebellious teen, he is perplexed by some of her odd behaviors…well, odd to him anyway. Racing from church to school to Ambrosial Acres, Amber has a plan. KEEP READING: Definitely. Fuller paints some great pictures that draw the reader in and the pace of her text is in line with the speedy Amber. She captures the heartbeat of teens in this first chapter and definitely creates a character others will relate to. I’m eager to see what happens next. I received a free digital copy of this book from the author through Pump Up Your Book. This first chapter review contains my honest opinions, which I have not been compensated for in any way. Jannette Fuller loves spending time with the Lord and her family. She’s a fangirl of everything lovely, and always tries to see the best in everyone, except for the villains in her YA series Ambrosial Acres. When she’s not blogging or writing her latest article, she listens to sermons while sweating away unwanted calories, cleans the house until it sparkles, laughs at the silliest things, and enjoys the outdoors, especially her daily walks through the enchanted forest. Of course there’s more to be said, but then her bio would end up being a memoir. 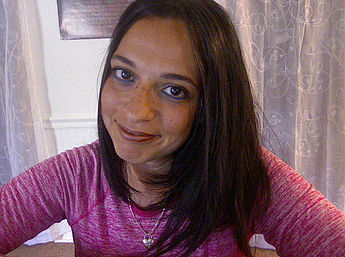 Connect with Jannette on Facebook and Twitter. BLURB: Sixteen-year-old Savannah Evans walks with a slight limp thanks to a gymnastics’ accident that dashed her Olympic dreams, but didn’t stop her from attending an adventure camp in Idaho. At Camp Arrowhead, she quickly befriends Jade Chang and Rico Cruz, but Conner Swift taunts Savi because of her injury. When the four are teamed together for an overnight white-water river rafting adventure, Savi refuses to get in the same raft with Conner. Unfortunately, the director will not reassign her. A fun expedition down the river turns into a nightmare when their raft slams into a huge rock and their adult guide disappears down the river. Without their guide and desperately trying to steer an out-of-control raft, they pass the “last chance” marker and enter the larger rapids. With Jade pinned between the raft and a rock, and Rico clinging to a lifeline, Savi must cut the raft free. When the four drag themselves out of the river, they’re bruised, beaten, lost, and twenty-five miles from camp. Because of late-night campfire tales of Vexel, a vicious animal that roams the nearby woods, Savi and the others are terrified. Savi becomes the unlikely leader who tries to guide the group back to Camp Arrowhead. Limited supplies, injuries, and the constant threat of Vexel—who Savi fears is stalking them, complicate the harrowing return trip. Readers will enjoy dramatic survival scenes and the group working together, solving problems, and learning to overcome adversity. COVER: I find this cover fascinating. The author has toured with this book before. I loved it then. I love it now. The dark colors with the glowing yellow eyes make it a tiny bit creepy, but it is a stunning cover. FIRST CHAPTER: Savannah Evans, also called Savi, makes quick friends with Jade at Camp Arrowhead. Savi’s run in with Connor Swift doesn’t go quite as smoothly. KEEP READING: I am on Chapter 12, so I’ll let you be the judge. 🙂 The opening chapter mostly introduces the characters, but it also sets up the conflict that we will see later on. In addition, it actually opens with a news blurb about the disappearance of the four teens and then goes back in time two days to when they all met, so it’s a neat way to drop the reader right into the action, followed by a tiny bit of backstory. I look forward to more. 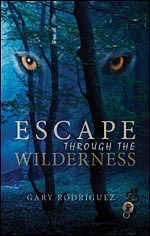 Escape Through the Wilderness is available at Amazon. Check out the book at Tate Publishing. I received this book from the author through Pump Up Your Book. This review contains my honest opinions, which I have not been compensated for in any way. 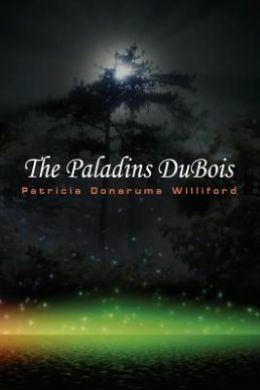 While attending the WriteAngles Conference this past November, I ran into Patricia Donaruma Williford, author of The Paladins DuBois. Pat is a teacher in our local school district. Luckily, she had a copy of her book with her that I was able to purchase. 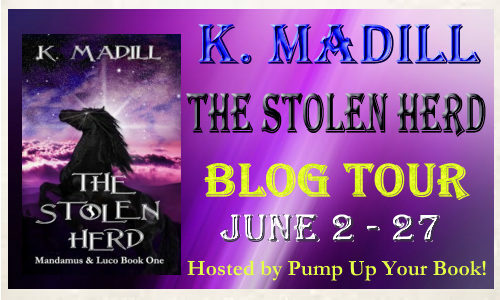 BLURB: Eighteen years after the infants Kai and Mahri DuBois were separated and taken from La Foret de Chenes for their own protection, they are called to return. Appointed as Paladins, they receive their first charges from the Elders. The twins must overcome the devastating act of treachery that tore their family apart, restore the integrity of the treasure they guard, and beat back the encroaching evil of La Famille DeMauvaise. COVER: While I’m not always a fan of dark covers, they are popular in the young adult genre. This cover works well for the book because the dark forest with its glowing fireflies is an integral part of the story. FIRST CHAPTER: Kai Woods, a painfully shy boy with unruly blond hair, has just graduated from high school. The letter he has received from his Uncle Frank invites him to be considered for a position of caretaker of La Forêt de Chênes, The Forest of Oaks. He follows a trail and soon comes to a cottage, where he meets the mysterious Shaun O’Shaunessey. KEEP READING: Definitely. Williford quickly captivates the reader with her mysterious, magical tale. In a few short pages, the reader learns a bit about Kai’s past and the future that is about to unfold before him. Told from Kai’s and Shaun’s points of view, this intriguing first chapter is filled with rich descriptions that add depth but are not overdone. The back story is just enough to entice. It doesn’t cloud over the present day happenings. 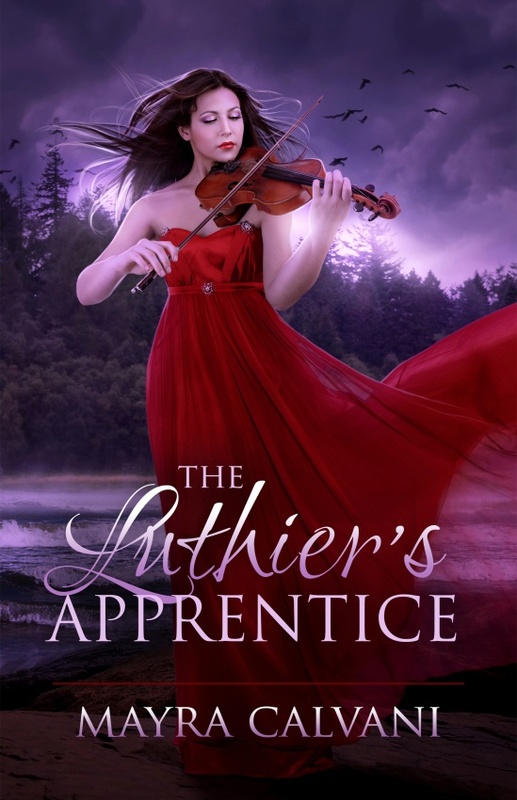 While I’ll admit fantasy is not my first choice of reading material, this strong first chapter, the conflict of a family torn apart, and Kai and Mahri’s destiny enchanted me. I’m eager to continue. When a reluctant grandson in Oregon is pressured into writing to his grandma in Australia, wonderful things happen. Both have a need for love and reassurance, and between letters their daily lives go on. Back and forth the letters go: Josh shares his problems, while Grandma Rose shares stories, and past memories that astonish her grandson and his friend Kelly. His Xbox gathers dust, while he and Kelly ride bikes and bird watch. Googling the weird and wonderful Aussie critters that visit Rose’s garden becomes a hobby for them. Soon, Andy and Grandma shrink the Pacific Ocean into a puddle they can easily ford. There is a glossary of Aussie words and animals at the back of the book. On the other side of the Pacific Ocean, where water lapped the sandy eastern shores of Australia, Rose Larkin slept. She lived on the edge of the Queensland bush in a small town called Morningside. At sixty plus Rose was a light sleeper, so the sound of the rifle crack snapped her awake. Silence. This was followed by the mutter of distant voices. Rose’s cat, Lady, sleeping at the foot of the bed, had not twitched a whisker. Stiff from sleeping, Rose threw on a dressing gown and headed for the back door. Outside the door she grabbed a long handled garden fork that leaned against the wall. She hefted it. Not a bad weapon – just in case. A skimpy moon left the back yard in complete darkness. But Rose didn’t need a flashlight. Her feet had long ago memorized every pebble, dip, and curve that lead to the back fence. The voices now grew more distinct. The voices faded, lost in the far reaches of the wild bush area that backed onto Rose’s property. Grim-faced, Rose reached the fence line. Soft scrabbling noises came from the bush side of the fence. Leaning the garden fork against a fence post, she hiked up her nightie and dressing gown. Climbing over the broken section of the fence wasn’t easy. Rose struggled. Then a tearing sound. Blast! My favorite nightie, too! Finally, she made it over the fence and into the bush, hoping to find whatever was making those distressed rustling sounds. Aha… She peered down at the ground around her – dim and blurry. Stupid woman – forgot my glasses! Her toe hit something furry. Kneeling in the darkness Rose searched the ground with outstretched hands. She felt something warm and soft. Oh Lord, NO! In front of her lay a still warm but very dead female kangaroo. Snuggled beside his dead mum, yet very much alive, was her joey. It took a few more rips and tears to her nightie, but she finally got the joey over the fence and safely back to the house. Tucking him into a spare pillowcase, Rose hung the makeshift pouch on the back of a kitchen chair. His small head peeked out, all big ears and long snout, a wistful look on its face. The pillowcase, loosely knotted at the open end, was the best she could do to provide a pouch. Oh-ho, he’s shivering. Mustn’t let the little bloke go into shock. Rose quickly filled a hot water bottle and slipped it into the pillowcase. A swift look through her winter woolies, and her young guest wore a blue beanie scrunched down over his ears. She had knitted the beanie last winter. Rose, chilled to her toes, made herself a steaming cup of tea. The joey, blue beanie askew over one eye, ducked inside his makeshift pouch every time she ventured near. I want to thank Cheryl for allowing me to chat with her wonderful readers and introduce a book that means so much to me. Writing “Down Under” took me back to my long ago Aussie roots. It was a book I had to write, and it came right from my heart. In some ways it is a tribute to my mum. She was the most honest person I have ever known. Also a fantastic story teller, a terrific judge of character, and she always showed her love for me in caring ways. Some of the stories Grandma Rose tells grandson Andy in her letters are ones told to me by my mum. Mum was shy, and only opened up to close friends or relatives. I know she would be delighted to know that I have connected her stories to a far wider audience. Mum is long gone. . . yet I still miss her a whole bunch. 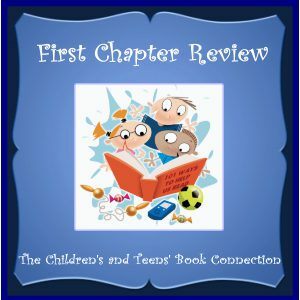 Young Teen and Picture Books + Manuscript Critiques and Help for Writers. COVER: I love this hand drawn cover that captures where Grandma Rose lives as well as Andy and his friend Kelly together. Cover artist Agy Wilson chose wonderful colors to attract readers and the drawing has a down-home style that works well for this book. FIRST CHAPTER: Grandma Rose is awakened by the crack of a rifle. Grabbing a long handled garden fork for protection, she heads out to the fence line. Climbing over the fence, she discovers a mother Kangaroo has been shot and killed, but her joey is very much alive. Rose takes the joey back to her house to care for it. The next day, a letter arrives from Rose’s grandson, Andy, who lives in Portland, Oregon. She wonders if Andy would like to hear about her new animal friend and sits down to draft her reply. KEEP READING: What I admire about Finke’s work is the way she pulls you in. The opening pages drop you right into the story, as Rose is woken in the middle of the night by the noise of the rifle. You feel her urgency to discover what has happened and the pain of her discovery. That is tempered by the introduction of Andy’s letter and Rose wondering what his mother did to con him into writing. This looks like it will be a great book and I want to know what happens next. I purchased a copy of this book for my Kindle. This review contains my honest opinions, which I have not been compensated for in any way. 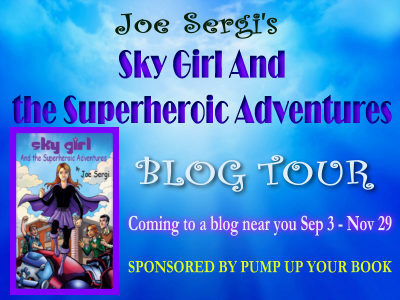 Joe Sergi is on tour with the second book in his Sky Girl series, Sky Girl And the Superheroic Adventures. 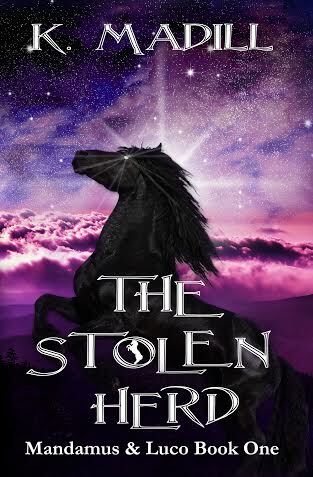 This is a young adult superhero fantasy novel. BLURB: Being a teenage girl is hard enough, but for DeDe Christopher, it is proving impossible. COVER: I’ve loved both Sky Girl covers for their vibrant, eye-catching colors. As a comic book fan in my childhood, this cover definitely brings me back to those days of Wonder Woman and Superman. FIRST CHAPTER: Nick is walking along warily by City Hall Park in Manhattan when a noise catches his attention. With crime elevated in the city, you can’t be too careful. After accidentally being knocked on his keister by a young girl in a trench coat, he feels somewhat more at ease, thinking she was the source of the noise. He quickly finds out how wrong he is and, as the criminals descend upon him, Nick comes face-to-face with Sky Girl. KEEP READING: Sure thing. After a moving prologue, which the author cleverly titles Chapter 0, the action quickly takes front and center. While I was a bit surprised DeDe, a.k.a. Sky Girl, wasn’t the first character we meet in Chapter 1, it’s a smart and classic move. How often was Superman or Batman in the opening scene? Um, never. The crime is in progress and then the superhero shows up. This shows Sergi’s knowledge of the genre in which he writes; always a pleasure. Because of Chapter 0, you know there is a lot more to DeDe’s story than meets the eye. But you don’t get into that at all in the first chapter. I like that air of mystery surrounding her. It compels me to move through the story to see how DeDe is coping with what transpired in her past. Comic relief is provided by DeDe’s attempt at witty banter with an as yet unknown entity. It’s confusing for poor Nick as he listens to her talk to someone or something he can’t see. After this strong opening, I look forward to reviewing the rest of the book later in the tour. Joe Sergi lives outside of Washington, DC with his wife and daughter. 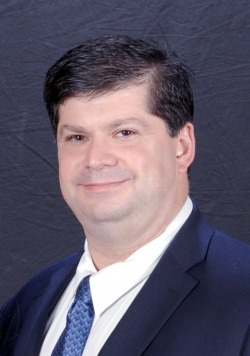 Joe is an attorney and a Haller Award winning author who has written articles, novels, short stories, and comic books in the horror, scifi, and young adult genres. 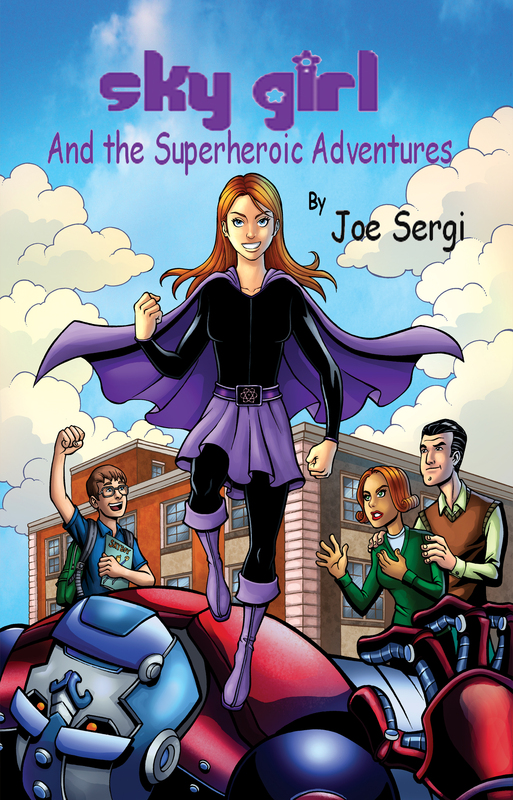 Joe is the creator of the Sky Girl series of novels and the editor of Great Zombies in History. His first novel, Sky Girl and the Superheroic Legacy was selected Best of 2010 by the New PODler Review. Joe is a life-long comic fan who regularly writes on the history of comics and censorship for the Comic Book Legal Defense Fund. A complete list of Joe’s titles is available atwww.JoeSergi.net. When not writing, Joe works as a Senior Litigation Counsel in an unnamed US government agency and is a member of the adjunct faculty at George Mason University School of Law. I received a free PDF version of this book from the author, who is on a tour with Pump Up Your Book. This review contains my honest opinions, which I have not been compensated for in any way.